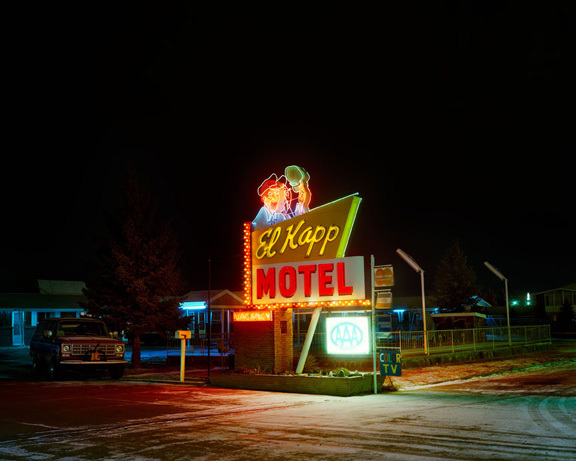 In 1971, Steve Fitch (1949) started to photograph neon signs adjacent to American highways. 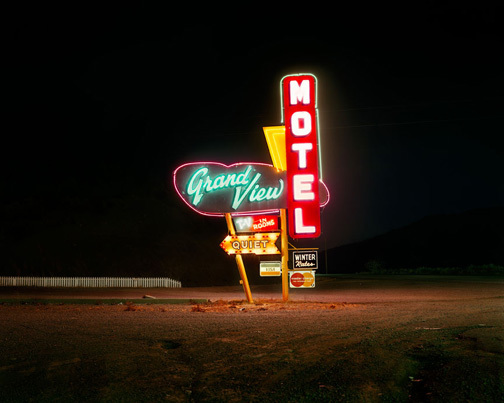 The signs mark the landscape with the aim to attract passers-by for a stop. 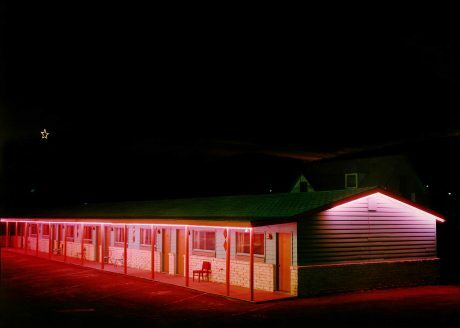 A few years later, Fitch realized he took all photos during daytime and none of the neon signs contrasting with the darkness of the night. 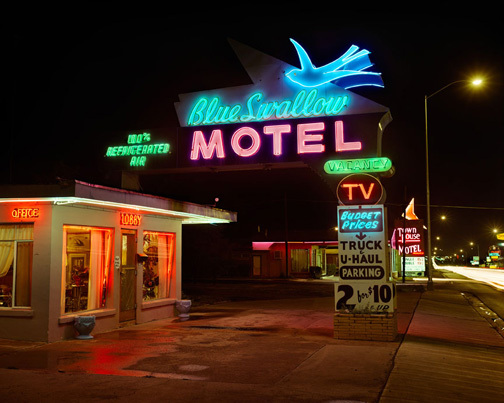 This incited him to also take photos during the night. 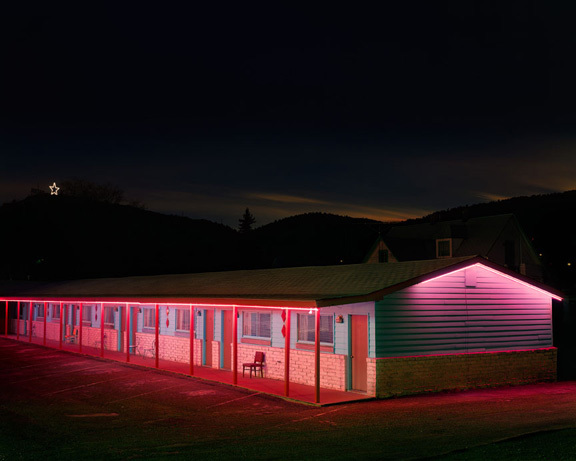 A selection of both daytime and nighttime photos are exhibited.